Thanksgiving has come and gone, but November's not over yet. 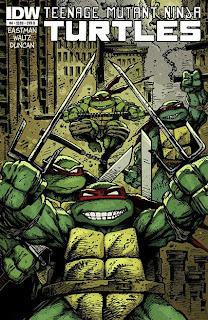 Tomorrow's new comic day gives us TMNT #4 from IDW. And with it, here is your handy dandy variant cover guide. Raphael #1 was originally scheduled to come out tomorrow as well, but it has been delayed until next week. 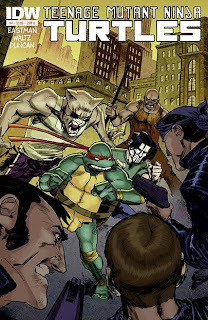 IDW Editor Bobby Curnow has noted that Raphael #1 takes place after TMNT #5, but emphasizes that it should definitely be read after reading TMNT #4, so perhaps the delay is for the best. 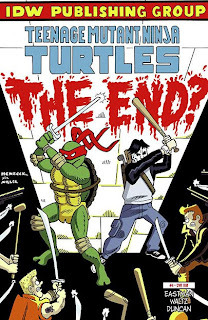 While you wait for your shop to open in the morning, check out this preview of issue #4! 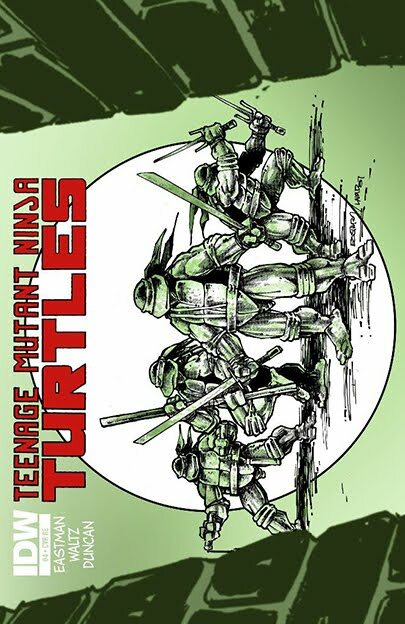 Cover B: Kevin Eastman (color). 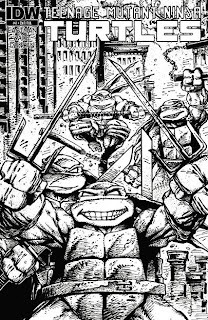 Cover C: Kevin Eastman (black & white). 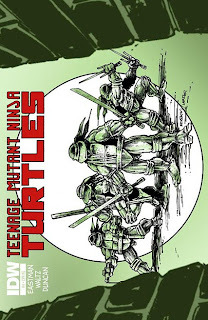 This cover can be purchased for $14.99 from Jetpack Comics. 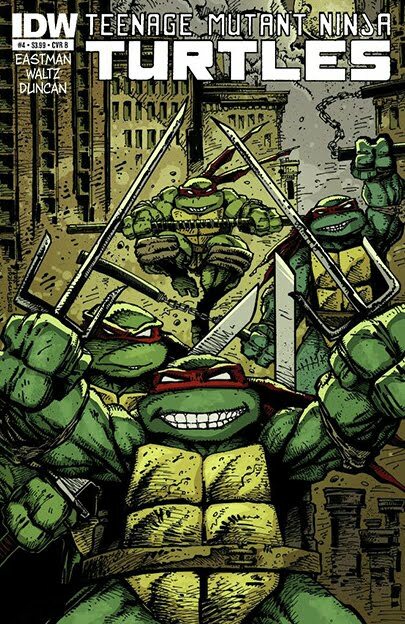 I think my favorite part of Cover D is the fact that Raphael transformed into Leonardo.